Pumpkin Coach by Louis Paul. New York. Literary Guild. 1935. Hardcover. Very Good in Very Good dust jacket. DJ is worn and torn at edges. DJ flaps clipped. Bookplate. 407 pages. 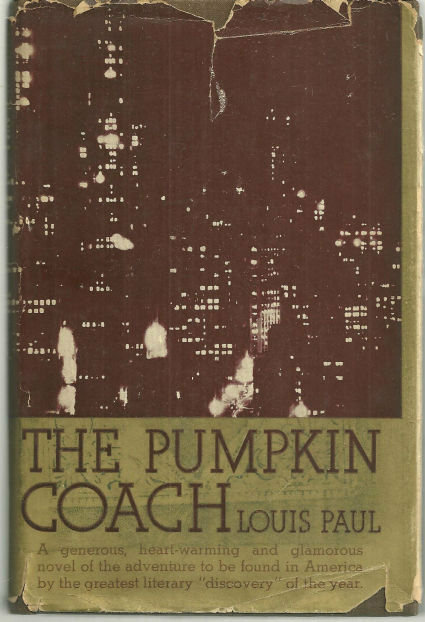 Items Similar To "Pumpkin Coach by Louis Paul 1935 Novel w/ Dust Jacket"